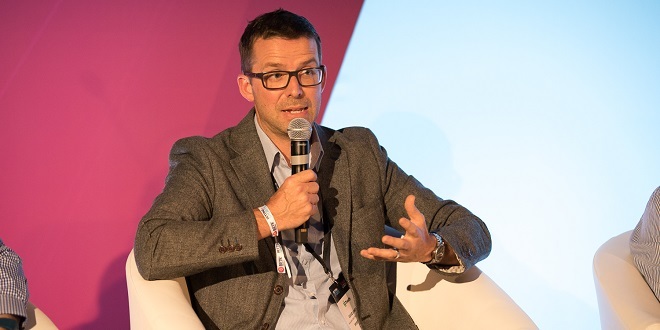 David Lampitt, Managing Director of Group Operations at Sportradar, described the Independent Review Panel (IRP) proposals for lower level tennis as “archaic”, adding that it is “counter-intuitive to think that adopting a prohibition style is going to enhance the integrity of the sport”. Speaking at last month’s Betting on Sports conference at Olympia London, Lampitt was asked about the possible curtailment of live data supply to bookmakers for the International Tennis Federation’s (ITF) $15k and $25k Pro Circuit events. 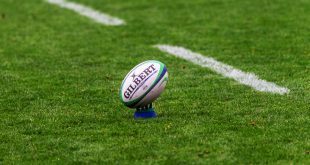 A month on, and Sportradar has now delivered an official response to the IRP, in which it supports most of the panel’s recommendations, but questions staking the reputation of the sport on the uncertain ‘guess’ that this curtailment of data would deliver integrity benefits. The response also promotes a “tennis-wide approach to restricting data distribution, targeting specific matches with an elevated risk of corrupt activity based on a consistent and analysis-led evaluation” – something that Sportradar is already doing as part of its integrity partnership with the ITF. Sportradar, who has worked with the ITF since 2012, now provides over 200 clients with data direct from the umpire’s chair. In fact, one of the frustrations expressed in Sportradar’s response is that the panel has misjudged the demand for ITF level content prior to this data deal. An extract from the report reads: “The Panel’s misjudgement of the market is also reflected by the fact that Sportradar had approximately 50 individual deals with Pro Circuit tournaments at that time. In addition, Sportradar is aware of several examples of agreements with other data providers that existed prior to the ITF-Sportradar deal. It was acknowledged during the Betting on Sports panel that, over the subsequent six-year period, Sportradar had impressed on ITF umpires the need for speed, quality control and a low error rate, which according to Pinnacle Trading Director Marco Blume, has reversed a “previous laissez faire attitude to typing the score on the pad”. This crackdown was highlighted earlier this month, as three chair umpires were banned for life from officiating at or attending any professional tennis events after admitting to manipulating the input of scores on to the official scoring system during ITF Futures tournaments held in 2017. Meanwhile, just last week Sportradar’s integrity services formally supported the sanctions brought upon Ukrainian twin brothers Gleb and Vadim Alekseenko, who were both banned for life and fined $250,000 after being found guilty of multiple match-fixing offences at ITF Futures tournaments played in Romania, Russia, Germany and Turkey between June 2015 and January 2016. Lampitt stressed that interest in betting on tennis, for live matches at all levels of the sport, dictates the need for collaboration – something brought into focus once more by the Sportradar suggestion to create a new body made up of representatives from tennis, betting operators and sports data companies, to ensure a more concerted and collective approach to fighting corruption. Speaking at the event, he explained: “The reality is that there’s a very significant interest in betting on tennis. We commissioned H2 to do some independent research on the market, which showed that the online betting market for tennis has grown from roughly 3% of the global betting market eight years ago to almost 10% now – a figure that might vary slightly from operator to operator, or region to region. However, Blume did acknowledge that the challenge system presents an ongoing issue to the integrity of the sport, particularly when combined with ‘court siding’, where someone attends a sporting event with an intent to gain a betting advantage ahead of the televised, streaming or scoring delay. “One big problem that persists is challenges,” said Blume, “simply because the umpire cannot enter the score because he/she might have to go down, point out the ball – the problem is throwaway challenges when everyone knows the outcome because the player basically has a free challenge. 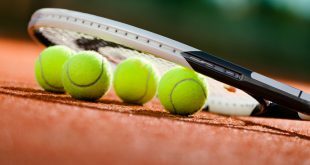 Responding to a panel question on the delay of data transfer, or latency, Lampitt admitted that it is an “ongoing challenge” for tennis, but expressed confidence in Sportradar’s ability to combat this issue. “I can only speak for the data feeds we provide,” said Lampitt, in response to Betting on Sports panel moderator Chris Duncan – a co-founder of Betsson. “If the data feeds are not fast enough, we’re not delivering a service to over 200 bookmakers. Speed is obviously very important, but it’s about quality and the quality control that goes with it. Sportradar’s response to the IRP report has recommended increasing the amount of AV streaming coverage, wherever possible, which would provide greater oversight, scrutiny and availability of evidence – helping to stamp out data-driven misconduct directed through umpires or players.